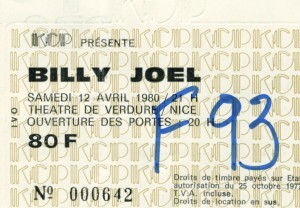 Hier soir concert de Billy Joel au ”théâtre de verdure” de Nice. 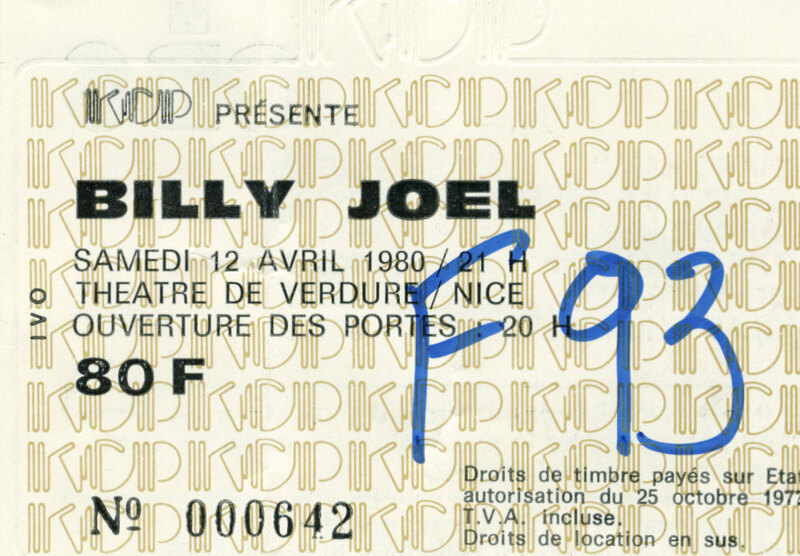 This entry was posted in Concert on April 13, 1980 by admin-serge. 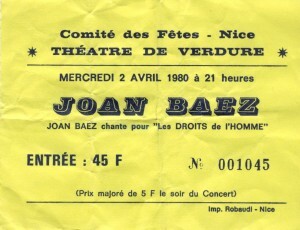 Hier soir concert de Joan Baez au ”théatre de verdure de Nice”. 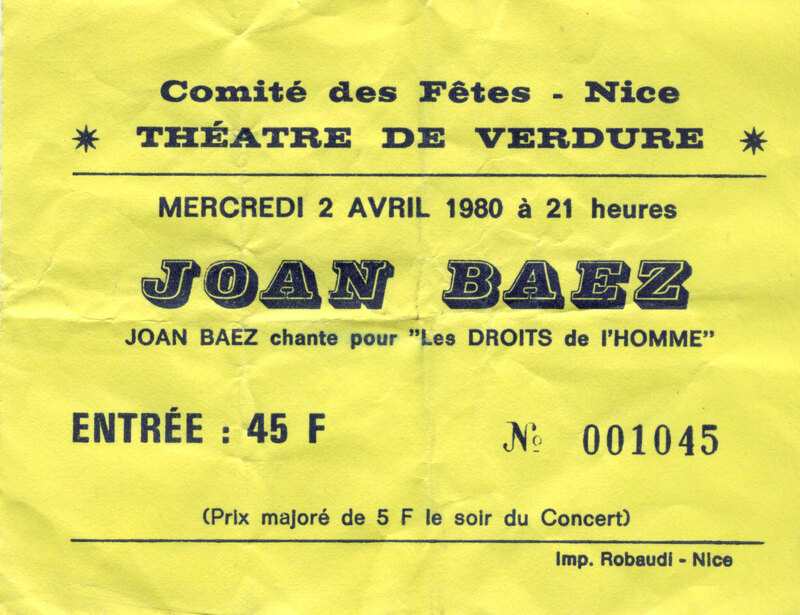 This entry was posted in Concert on April 3, 1980 by admin-serge.